Omega watches has continually been synonymous with innovation, quality, luxury and high precision. The incredible celebrated entity as the Omega Watch Company in reality started way back in the 19th Century -1848 to be exact, when the Omega founder, Louis Brandt, a Swiss watchmaker who resided in La Chaux-de-Fonds in Switzerland, began creating his "Omega" masterpieces. The watches were produced with the aim to surpass others in high precision timing. As a matter of fact, back then he constructed each piece using only his bare hands by diligently assembling each watch piece by piece. The first watches that Mr Brandt made were pocket watches, because back then they were the timepiece that was considered to be vogue and were highly sought after and cherished. In the mid 1800's the thought of attaching a bracelet to their timepiece never even crossed a persons mind. Unfortunately, Mr. Louis Brandt passed away in 1879 and left his modest company to his sons, Louis Paul Brandt and Cesar Brandt who carried on their father's tradition of impeccable pocket watch craftsmanship. They decided to relocate the company to "Biel/Bienne" in January 1880 due to the greater supply of manpower, communications and energy. Biel is the French pronounciation and Bienne is the German.Both names are actually used. The birth of the Omega watch brand actually took place in 1894, more than a decade after the relocating of the company to Bienne. Louis and Cesar Brandt introduced, for the first time, the brand "Omega" to the Swiss public. 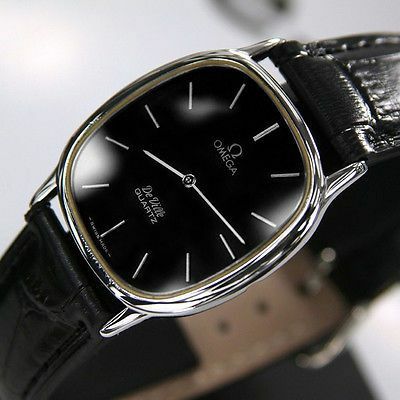 Over time, the Omega watch has come to be one of Switzerland's biggest and most luxurious exports. Sadly, the reign of the two Brandt brothers in the Omega watch company was short-lived because both brothers suddenly died in 1903. 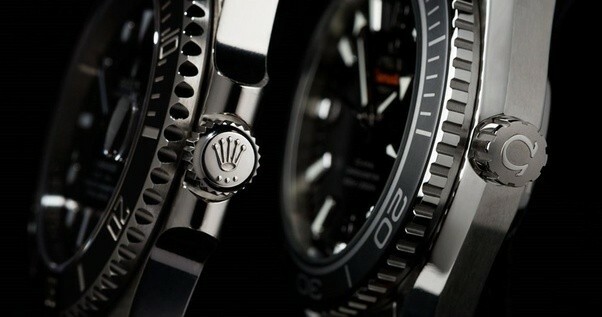 This resulted in four individuals taking control of the Omega watch company. One of the individuals was Paul Brandt,who not only inherited the Brandt family name but their entrepreneurial instincts as well. At mere 23 years old, Paul Brandt was actually the oldest of the four who took over the Omega watch company after the death of the Brandt brothers. After a merger with fellow Swiss luxury watch brand, Tissot in 1930, SSIH (Société suisse pour l'industrie horlogère) in Geneva, Switzerland, was created as the new parent company of the newly merged watch companies. Fortunately,the merger between Tissot and Omega was a big success, which is why in a relatively short time the SSIH group grew to over fifty other companies including Lemania,Lanco and Hamilton. And in a relatively short period of time,the SSIH group has managed to position themselves as the third largest producer of luxury watches, as well as watch movements in the world. George Clooney is the perfect complement to the elite ranks of OMEGA's champions and high-achievers from the worlds of fashion, science and sport, all of whom perfectly define the brand and its ethos. 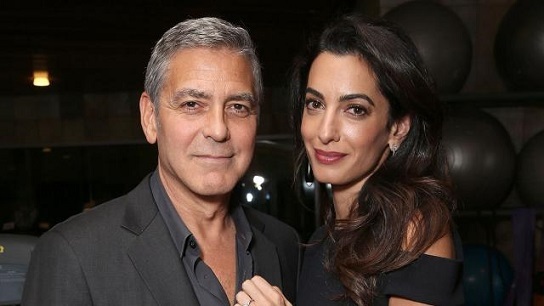 George Clooney joins another star of the silver screen and OMEGA brand ambassador, Nicole Kidman, who played his on-screen partner in the 1999 film 'The Peacemaker'. Nicole Kidman devoted herself to acting at an early age.She is regarded as one of the finest actresses in the world. In 2003,she won an Oscar for her brilliant portrayal of troubled author Virginia Wolf in The Hours and she has been nominated for seven Golden Globes (she won three for her roles in To Die For, Moulin Rouge, and The Hours). Nicole Kidman touches people’s hearts with everything she does. Alongside her acting career,she is a tireless campaigner for children’s and women’s rights and is a Goodwill Ambassador for UNICEF Australia and UNIFEM. The United Nations has also named her a “Citizen of the World”. Since joining OMEGA’s family of brand ambassadors in 2005, Nicole Kidman has figured prominently in the “My Choice” advertising campaign and has made select public appearances on behalf of the company. As an OMEGA ambassador since 1995,Cindy Crawford has been promoting OMEGA products longer than any of the company’s other ambassadors. She was chosen to join the “OMEGA family” for her fashion flair and because her style fits the brand perfectly. She shares many of OMEGA’s values,including quality, reliability and a strong sense of tradition. Cindy Crawford participates not only in advertising campaigns but is also actively involved in events and in product design – giving her personal input and helping to give the finishing touches. Her inspiration and opinions are of great value to OMEGA. Zhang Ziyi is an actress of rare beauty and monumental achievement. Following her cinematic début in Zhang Yimou’s The Road Home, which won the Silver Bear Award at the 2000 Berlin Film Festival, her impressive list of credits includes Memoirs of a Geisha, House of Flying Daggers and the award-winning Crouching Tiger,Hidden Dragon, all of which have contributed to her international popularity. Zhang perfectly fits the OMEGA brand ambassador profile: in addition to a film career which has earned her worldwide critical praise and public acclaim, she is a passionate advocate for the things she believes in. She is a Global Ambassador for the Special Olympics, the competition for individuals with mental disabilities and is a spokesperson for “Care for Children”, a foster-home program in China. Zhang Ziyi is the highest ranking woman on Forbes’s list of China’s most powerful celebrities and the journal also rates her as the woman with the greatest amount of social influence in China. 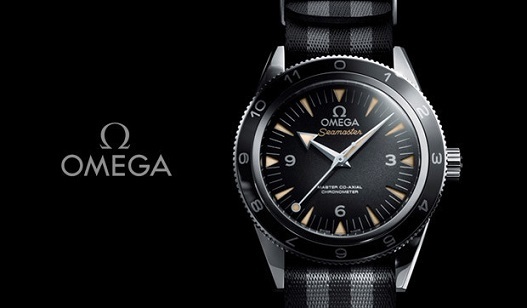 No watch début is welcomed more enthusiastically than that of the OMEGA Seamaster connected to a 007 film. When Daniel Craig reprised his role as James Bond in the eagerly-anticipated Quantum of Solace, he was wearing an OMEGA Seamaster Planet Ocean 600m Co-Axial Chronometer with a black dial (watch ref. 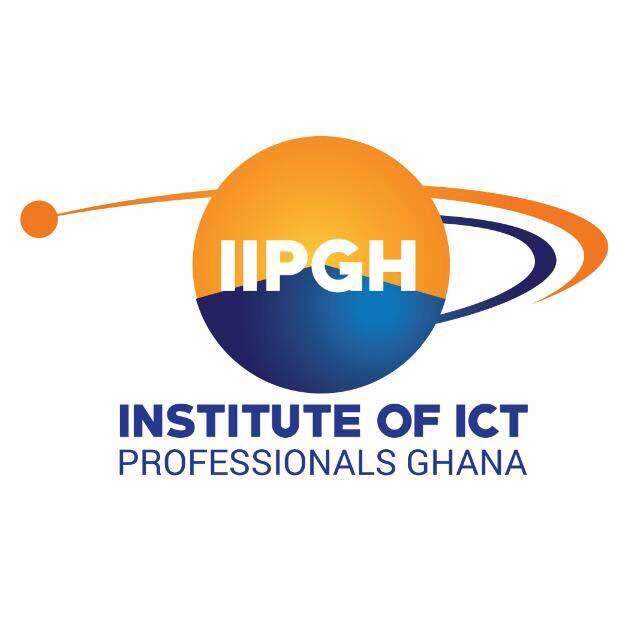 2201.50.00). Bond fans and OMEGA enthusiasts know that 007 had been wearing Seamasters featuring blue dials since 1995 so the black watch face on the Seamaster Planet Ocean in Quantum of Solace marked a subtle departure for James Bond. Quantum of Solace, produced by Michael G. Wilson and Barbara Broccoli for EON Productions and directed by Marc Forster, was released internationally in November 2008 and became one of the franchise’s most successful motion pictures. Michael Phelps has been regarded as the world’s best all-around swimmer since his appearance at the 2000 Sydney Games at the age of 15. At 16,he became professional and he is the youngest man ever to set a world swimming record. Michael Phelps won eight medals at the Athens 2004 Olympics, including six golds. At the Beijing 2008 Olympic Games he won eight gold medals! OMEGA is proud to have such an exceptional athlete as an ambassador. With his impressive dedication to performance and his determination always to give his best, he shares the same pioneer spirit as the brand. With his feel for the water and his incredible ability to relax and focus under pressure,Michael Phelps promises even greater achievements in the years ahead. Sergio Garcia, nick-named “El Niño”, who is representative of the many young golfers currently taking up this unique sport, has a whole golfing future ahead of him. With his strong ambition, pioneering and competitive spirit,and faith in his capabilities,he reflects many of OMEGA’s values and is therefore an ideal OMEGA ambassador. He became the youngest player to make the cut in a European Tour tournament and the first European Amateur Champion at the age of 19. Sergio Garcia values his relationship with OMEGA because of its fascinating history,its dynamic and progressive image and its strong involvement in the world of golf at all levels. At the age of ten, Michelle Wie became the youngest player ever to qualify for a USGA amateur championship, the USGA Women's Amateur Public Links Championship, and she is also the youngest ever to win the US Women’s Amateur Public Links. This remarkable young golfer is one of the longest hitters ever; routinely knocking drives over 300 yards. Michelle turned professional in October 2005, just before celebrating her 16th birthday. OMEGA is proud to have such a gifted golf player as an ambassador. With her talent and dedication to performance,Michelle Wie has a promising future ahead of her. Combining feminine grace with power and technique,she is representative of the new generation of golfers. 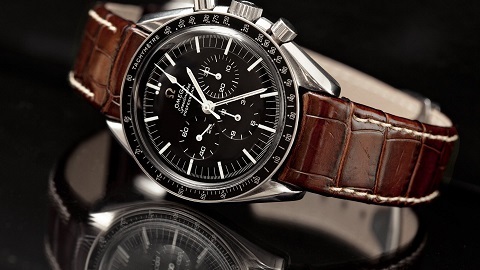 The OMEGA Speedmaster strapped to his spacesuit was the first watch worn on the Moon. Buzz Aldrin’s many honours include the Presidential Medal of Freedom, America’s highest peacetime award. A rocket scientist with his doctorate from MIT, Dr. Aldrin dedicates his time to charting the course for man’s future in space from Earth to Mars,and on to the stars. During 20 years as a Naval Aviator,including 13 years with the National Aeronautics and Space Administration (NASA), Captain Eugene A. Cernan left his mark on history with three historic missions in space as the Pilot of Gemini IX, the Lunar Module Pilot of Apollo X,and the Commander of Apollo XVII. After flying to the moon not once, but twice, he also holds the distinction of being the second American to walk in space and the last man to have left his footprints on the lunar surface. OMEGA ambassador Ellen MacArthur is no stranger to sailing challenges that push her to personal mental and physical limits: at only 30, she has amassed an outstanding range of sailing achievements. 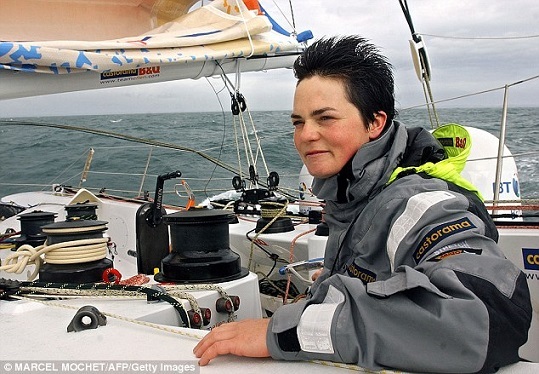 Her remarkable feats include becoming the fastest woman and the youngest person to circumnavigate the earth in a solo yacht race in 2005. One of her other great triumphs was the spectacular second place she won in the 2000 Vendée Globe, the "Everest" of sailing,when she raced solo non-stop around the world. She is one of the youngest people ever to be awarded the DBE (Dame Commander of the British Empire). Her ambition,professionalism and determination to succeed, as well as her innovative thinking and the challenges she tries to reach, are the personal attributes that inspired OMEGA to choose her to join its family of ambassadors in 2002. Apolo Anton Ohno is the most decorated American Winter Olympic athlete of all time. The short track speed skating star won three medals at the Vancouver 2010 Olympic Winter Games, increasing his Olympic medal total to eight. Ohno is one of only four Americans to have won three medals in a single Winter Olympic games. He has won the men’s national title 12 times and has enjoyed an uninterrupted reign as United States champion since 2001. Like Apolo’s many fans, OMEGA was delighted when he took medals in three short-track skating events, extending his Olympic legacy which began in Salt Lake City in 2002. He joined the OMEGA family of brand ambassadors on the first day of the Vancouver 2010 Olympic Winter Games. 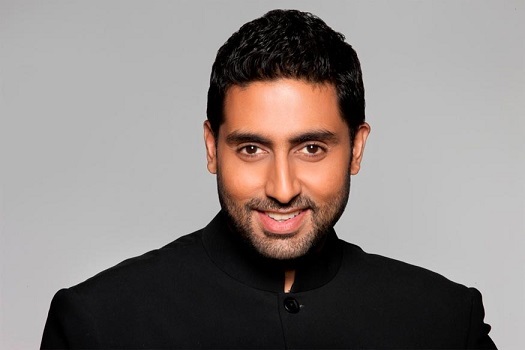 Abhishek Bachchan is the son of renowned Indian actors Bollywood icon Amitabh Bachchan and Jaya Bachchan. After attending the Bombay Scottish School and Aiglon College in Switzerland, the new OMEGA ambassador decided to devote himself to acting. He embodies numerous Omega qualities such as performance and style and has the presence to promote OMEGA products with elegance and charm.He represents one of the world’s most vibrant cultures and dynamic markets. OMEGA ambassador since 2006.